The recent shooting of a wild European bison in eastern Germany highlights the urgent need to plan more carefully for wildlife comeback across our continent. Having been reintroduced in 1980, around 200 bison now populate the province of Western Pomerania in northwest Poland, on the border with Germany. On September 14 a wild European bison was shot near the town of Lebus in eastern Germany. The previous day the bull had crossed the Oder River from Poland, having roamed naturally across the Polish countryside. Less than 24 hours later, the head of the local public order office instructed two local hunters to kill the animal – the first wild bison to stand on German soil in around 250 years – to protect the town’s population. Understandably, this incident has caused public outrage on both sides of the border, and led people to ask how such a thing could happen. 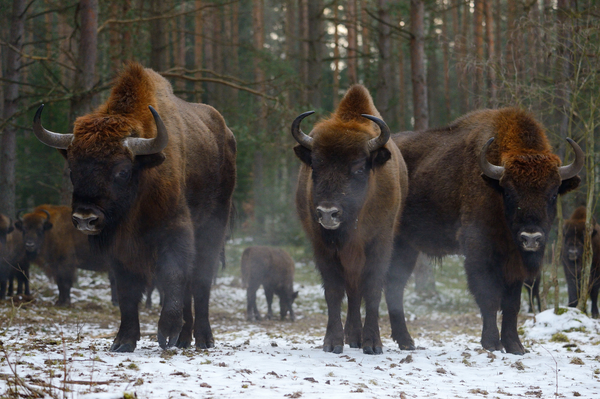 European bison in Western Pomerania, Poland, Oder Delta rewilding area. They are overseen by the Western Pomeranian Natural Society (ZTP), a Polish NGO which is also a member of the European Rewilding Network. What makes the Lebus bison incident so regrettable is that plenty of people in Germany had been made aware of the presence of bison on the Polish side of the Oder. 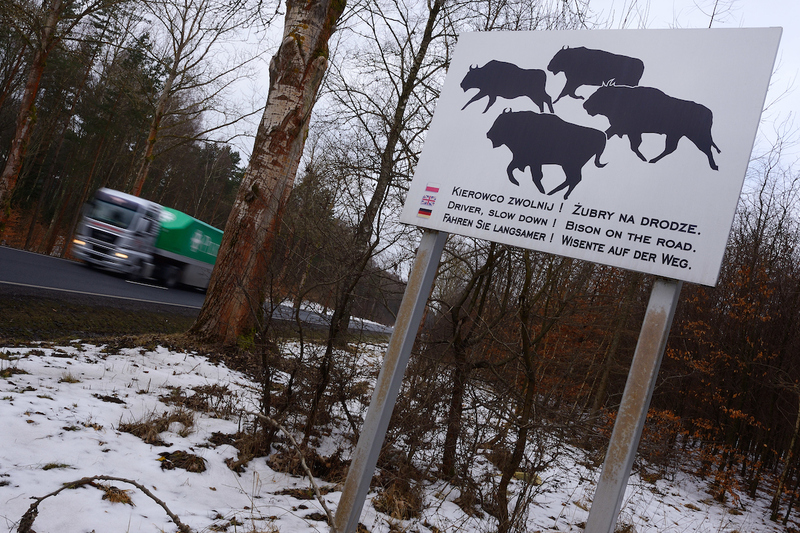 Road sign alerting drivers about European bison in Drawsko region, Western Pomerania, Poland. The ZTP has now sent two letters to the German authorities expressing their concerns, and offering assistance. The hugely experienced NGO has relocated bison many times, with a 24 hour Bison Emergency Service boasting trained personnel and a full range of equipment. From this hugely negative and disheartening incident, we must take the positives. And also learn valuable lessons. Many wildlife species are now making a comeback in Europe, both of their own accord, and as a result of reintroduction. Rewilding Europe conducts reintroduction projects in many of its operational areas. We involve local communities and stakeholders at all stages of these reintroduction projects, regardless of project scale and location. This preempts any problems that may occur after the reintroduction. 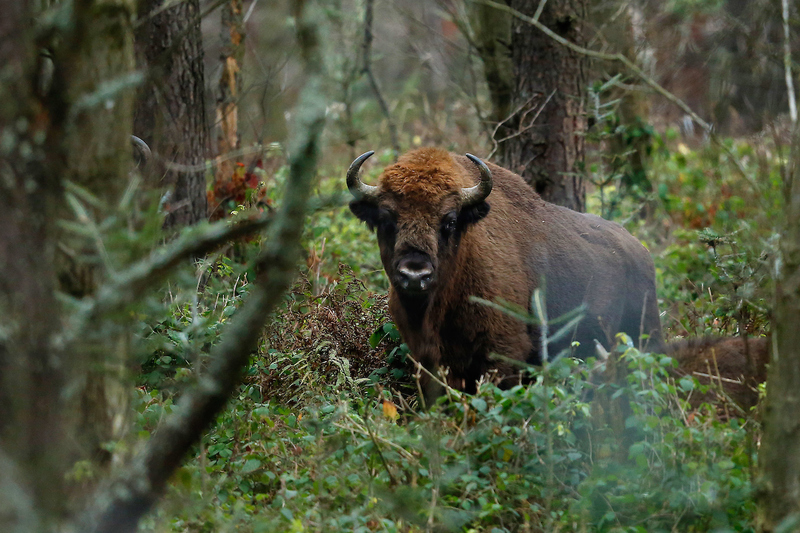 Since 2013, Rewilding Europe and WWF Romania have been working together to reintroduce European bison in the Southern Carpathians rewilding area. Earlier this year, the fourth consecutive annual release into this wild part of the Carpathian Mountains was the second one carried out under the framework of the LIFE Bison project. The European bison – the largest living herbivore in Europe – closely resembles its North American cousin. It once populated much of the European continent, from the Massif Central region of France in the west, to the Volga, the Caucasus and beyond in the east. But thanks to hunting and habitat loss, it was driven to extinction in the wild by 1927. Since then, conservation efforts have reintroduced the species to countries such as Romania, Poland, Lithuania, Belarus, Ukraine, Russia and Slovakia. It is still identified as a vulnerable species on the International Union for Conservation of Nature’s Red List. With wild bison hunted to extinction in Romania around 200 years ago, Rewilding Europe and WWF Romania began reintroducing bison into the country’s Southern Carpathian mountains in 2014. This became a European Union-supported LIFE-Bison project in 2016. Earlier this year, three new bison calves were born into the reintroduced herds, which now boast a collective population of around 50 animals. More information about the LIFE-Bison project can be found here. More information about Rewilding Europe’s work in the Southern Carpathians can be found here.